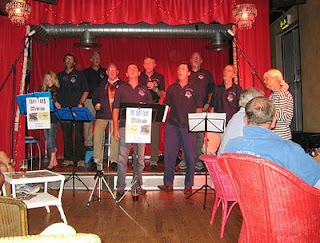 The Tars did a two hour slot at the B-Bar in Plymouth's Barbican on Sunday 3 August. This was part of a series of events for the Sutton Harbour Festival, incorporating the Classic Boats Rally. Click the link on the sidebar to find out about future events at the excellent B-Bar.